At the end of November 2011, Felicity set off from the Ross Ice Shelf on the Antarctic coast to ski 1744 km (1084 miles) across the Antarctic continent to the Ronne Ice Shelf at a spot called Hercules Inlet on the opposite coast. 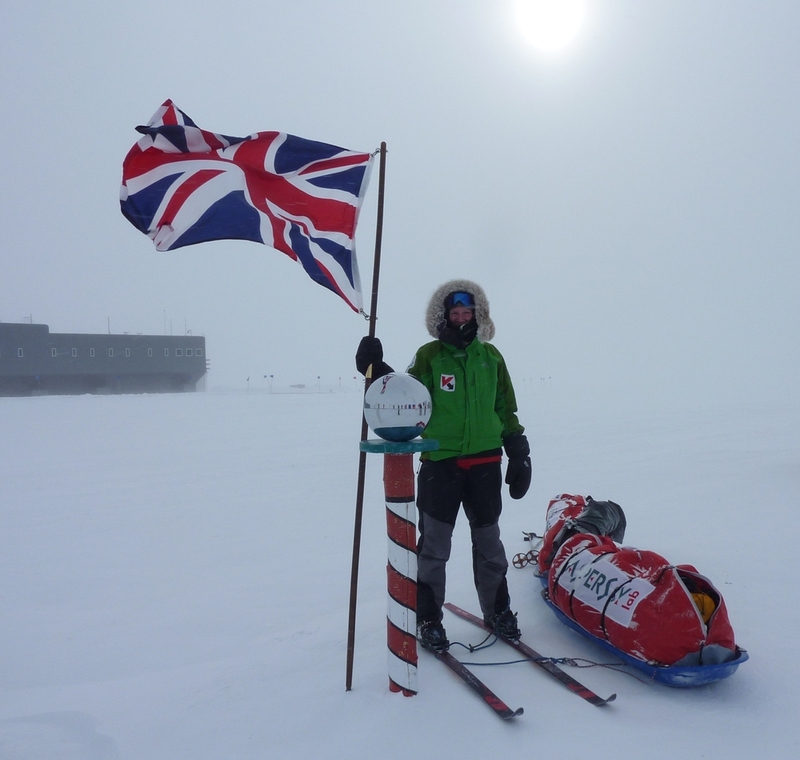 Pulling two sledges loaded with 85kg of food, stove fuel and equipment, the journey took Felicity 59 days to complete. This made her the first woman in the world to have crossed Antarctica alone and the first person to do so using just muscle power (no kites or machines). She has been entered into the Book of Guinness World Records. Felicity's journey across Antarctica took her through the Trans-Antarctic Mountains via the Leverett Glacier from the Ross Ice Shelf to the elevated Polar Plateau. She was the first person to ski to the South Pole using this route. From the South Pole she then continued on, passing Thiel Mountains and the Ellesworth Mountains before arriving at Hercules Inlet on the Ronne Ice Shelf coast. Along the way, Felicity collected two resupplies that had been previously dropped off by air - one at the South Pole, and a second roughly 500km further north. On her return, Felicity wrote a book about her experience called, 'Alone in Antarctica'. It has been published in both the UK and the US and has been translated into Korean.